Join this ten-day safari and experience the splendor of KwaZulu-Natal. Take in the Big Five, a tour to the Bushmen caves set in a World Heritage Site, and experience world-class hospitality in Umhlanga Rocks. 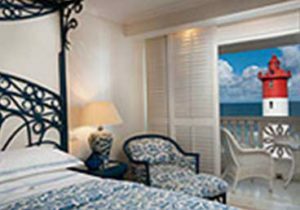 The Oyster Box Hotel provides an option to stay in a sea facing room, and have spectacular Indian Ocean views coupled with the sound of the gentle waves whilst your sleep. The hotel has a variety of five star spa treatments not to be missed. Meals included are indicated with an X in the meal table below. An, imposing wall of rock that rises to 3000 m, creating untold inspiring views and hikes. Known to the Zulus as the Barrier of Spears and to the first European settlers as the Dragon’s Mountains. The Ukhahlamba Drakensberg is 1 of 8 South Africa’s UNESCO World Heritage sites, uniquely being on for both its significance as a natural resource and for the heritage of the San Paintings. 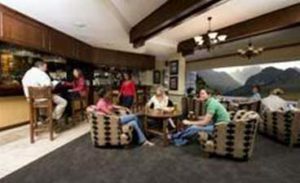 On arrival at King Shaka Airport, you will be met by your driver who will transfer you to Cathedral Peak Hotel for a 3-night stay. 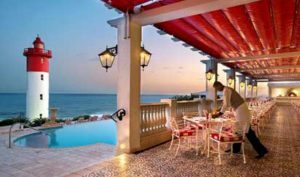 Set in a World Heritage Site, this renowned 4-Star family hotel offers luxurious accommodation, superb cuisine and warm hospitality. A host of activities includes golf, horse riding, helicopter flips, quad and mountain bikes, and FREE daily guided walks with unrivaled access to the Drakensberg Mountains. Facilities include a cocktail bar with magnificent mountain views and Vitality Centre. The package includes breakfast, dinner, morning and afternoon teas, bakes as well as daily guided walks. There are easy to strenuous walks and hikes which can be done on your own or with a guide. 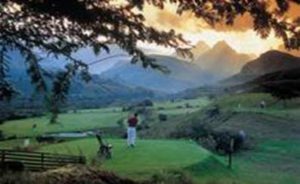 Enjoy a round of golf in this magnificent setting – (own account). A visit to the Bushman caves as well as the Didima Rock Art Museum is recommended. Didima Rock Art Museum and Interpretive Centre provides fascinating insights into the art and culture of the San. There are numerous displays and an audio-visual presentation, the reconstructed rock shelter enables people to get an insight into San rock art without having to climb to inaccessible caves. Breakfast is included and taken at the hotel restaurant. Your driver will pick you up at 11h00 and transfer you to Durban. Check in at The Oyster Box Hotel in the afternoon. Included in your stay is a welcome drink on arrival, breakfast each morning and access to the private Cinema, Fitness Centre and beautiful Clock Library. The hotel also offers a complimentary shuttle service, between the hours of 8:00am and 08:00pm, to The Gateway Theatre of Shopping. The Spa at The Oyster Box has a wide range of relaxing and rejuvenating treatments, including massages, facials and our signature Hammam treatment. Two full days of leisure which can be spent enjoying the hotel facilities as well as the beach and local shopping centres. Your driver will pick you up after breakfast and transfer you to Amakhosi Private Game Reserve. It is a 4.5-hour drive so an early start is recommended. 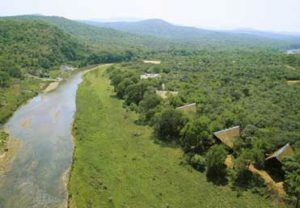 The lodge is situated on the banks of the Mkuze River in the Amakhosi Private Game Reserve. 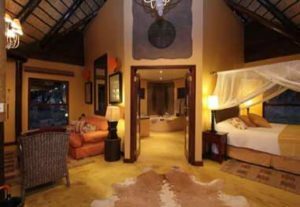 The lodge accommodates 16 guests in 8 suites which overlook the river. The suites have a lounge, bedroom, and separate bathroom along with a large deck with hammock and outdoor furniture. 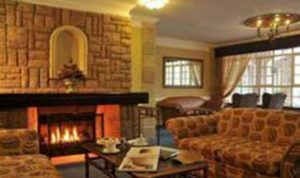 The main lodge facilities include a pool with loungers, library, dining room and bar. Your package includes all meals, bottled water in the rooms and 2 game activities per day. The reserve is a blend of savannah, wetlands, and mountains and is home to the Big 5. Prolific cheetah as well as 15 species of antelope, and over 420 species of birds can be seen along with an interesting variety of frogs. Your driver will transfer you from the lodge to either Johannesburg or Durban depending on your onward arrangements.